Earlier this year in my 2018 SHOT Show After Action Report, I mentioned how I pre-ordered the American Rifle Company Nucleus bolt action receiver. 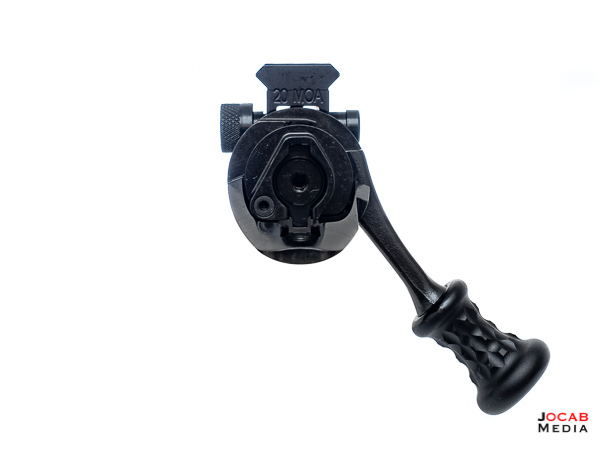 After seven months, I received an email that the Nucleus action was completed and ready to ship to my FFL of choice. I finally picked it up from my local FFL last night. If the photos look soft or jelled, it is not the camera. The receiver is covered in a thick oil. I did not wipe it off to take the photos. If you are not aware, I already own the American Rifle Company Mausingfield action, which is my 6mm Creedmoor build. I decided to get the ARC Nucleus because I was intrigued by the features and design, and because of the pre-order discount during SHOT Show. There are many features to list, so you should go directly to the Nucleus product page on the ARC website for the full specifications. But to summarize the key points, the Nucleus is a Remington 700 pattern action that is control round feed and uses an external Springfield-style ejector, just like the ARC Mausingfield. The Mausingfield currently carries a price of $1600, while the Nucleus is priced at $1000. 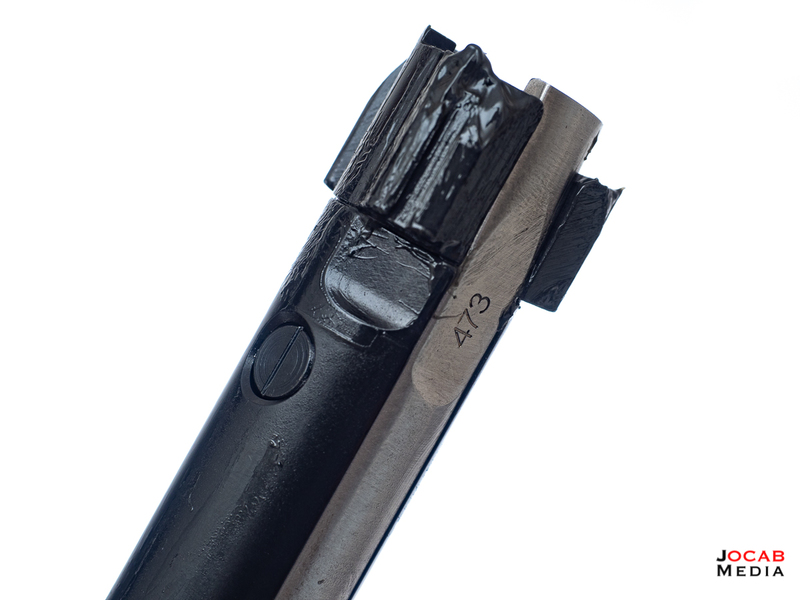 The cost cutting measures were done via the lack of an integral recoil lug. Integral recoil lugs are a popular design feature on custom bolt actions, but this does increase the production costs due to how the block of steel must be milled. 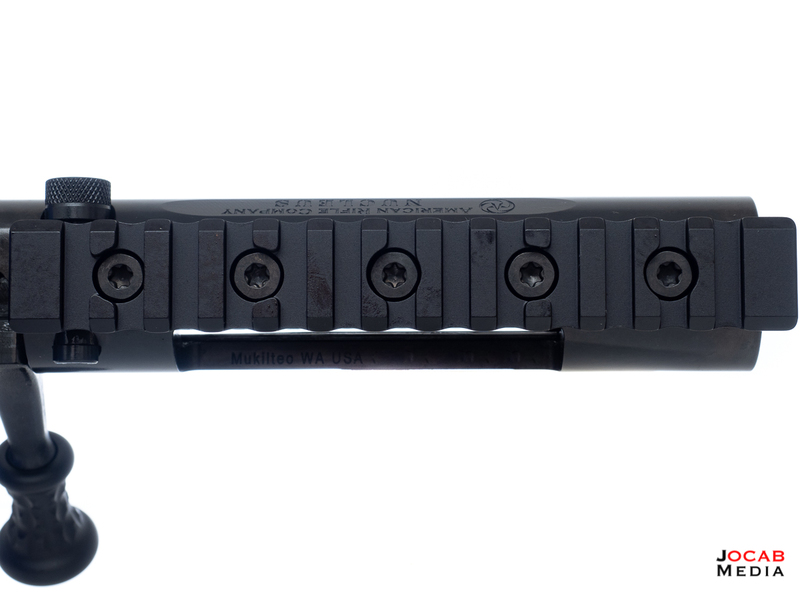 But an integral recoil lug is not critical to accuracy, as long as the face of the receiver and the bolt lug are square to on another and they are somehow pinned. The Nucleus recoil lug is actually not pinned, but rather keyed to the scope rail at the 12 o’clock position. As you can see above, the scope rail actually protrudes beyond the front face of the receiver, and has a keyed channel or slot where the recoil lug will align with. Since the scope rail is also not integral to the receiver, this also helps keep production costs lower. 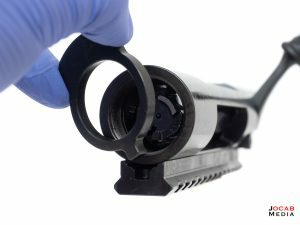 But just like the Mausingfield, the scope rail designed so that it will not yaw to the receiver to ensure a solid fit of the rail. 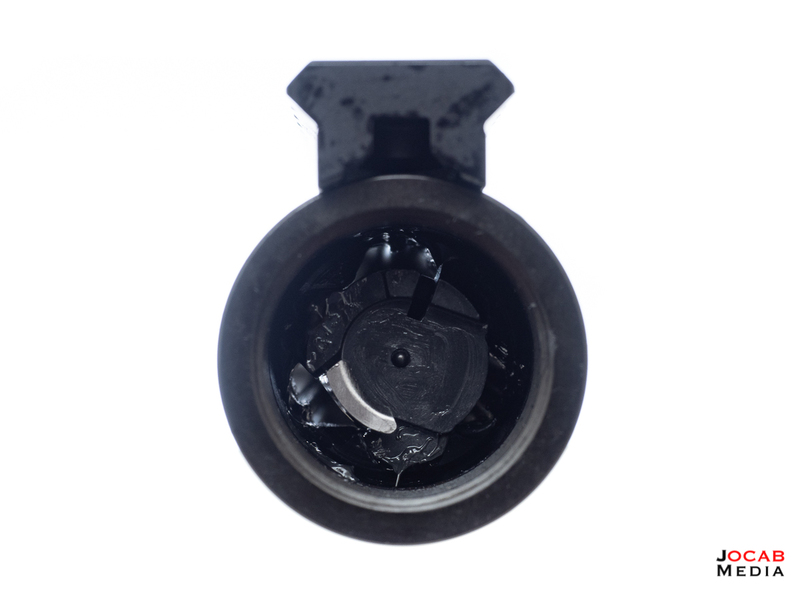 The bolt is pulled all the way to the rear, which allows a knurled button to be rotated and the bolt can be removed. As you may notice in the above photo, there is a small recess just behind one of the bolt lugs. 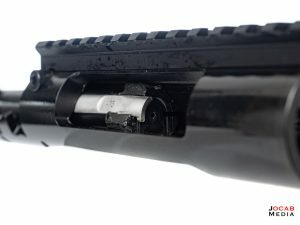 When the bolt is pulled all the way to the rear, the lug makes contact with the bolt stop, and the recess allows pin to rotate and allow the bolt lug to pass the pin. This design is how the bolt stop cannot rotate unless the bolt is all the way to the rear. 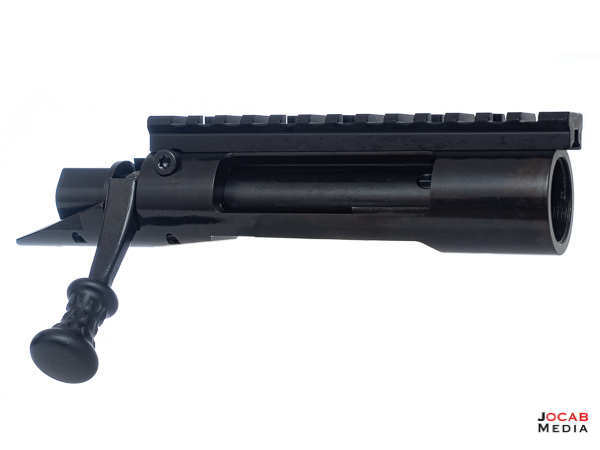 Anyway, I have the Nucleus in a short action form with a .473″ bolt face and 20MOA scope rail. I actually have no immediate plans to build this action into a full rifle. I have other projects that are taking up my funds, particularly the Jeep. Until then, I have plenty of time to decide what cartridge to build this rifle into. 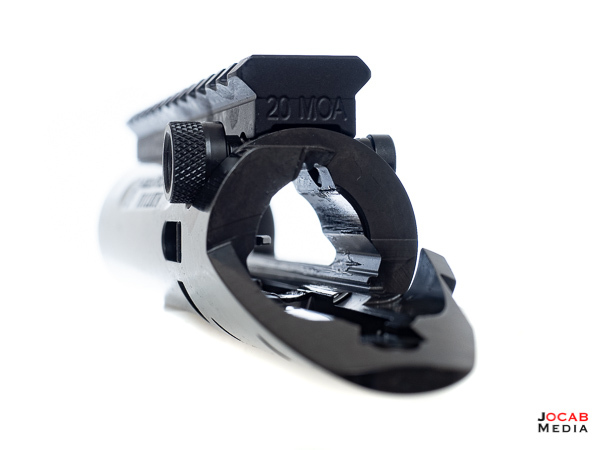 I am actually thinking about .224 Valkyrie, but this would require me to buy a new bolt head (the Nucleus design includes interchangeable bolt heads). 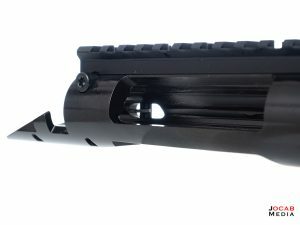 I may just try .224 Valkyrie in the AR platform instead since I have all the parts to build a new upper, except a barrel. I am not entirely sure if I want to build another 6mm Creedmoor. Currently, my only 6.5mm Creedmoor is my rebarreled Savage 10FP, so building a 6.5mm Creedmoor rifle from the ground up is an option. I have always wanted to try 6.5×47 Lapua, and now seems like a good time since it has sort of been forgotten thanks to 6.5mm Creedmoor. I will have to think on this. 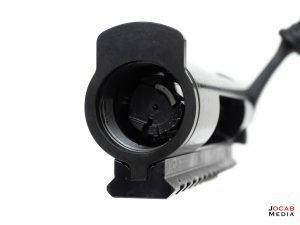 If you are interested in the American Rifle Company Nucleus, check out their website at https://www.americanrifle.com. There is still a backorder on the Nucleus receivers at this time, but I anticipate they should catch up in the next few months. These are some exciting times to be in if you are interested in a custom bolt rifle. 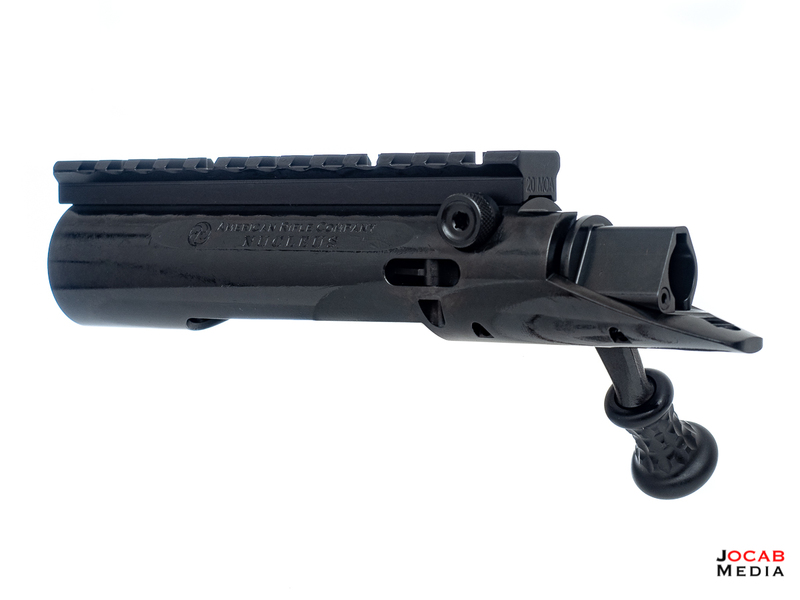 With the ARC Nucleus, the Big Horn / ZAI Origin, and the Defiance Tenacity, shooters now have some $1000 and under options to build on a quality custom bolt action receiver. Build a 22 br, that’s what I am doing with my big horn Origin action.